The heaviest of all mini versions; built for long heavy stressful work; for those who prefer mini sized kukri to larger ones for hefty work.. This is the heaviest of all mini versions; built for long heavy stressful work. Small yet sturdy, compact and compatible, effective and easy to use. 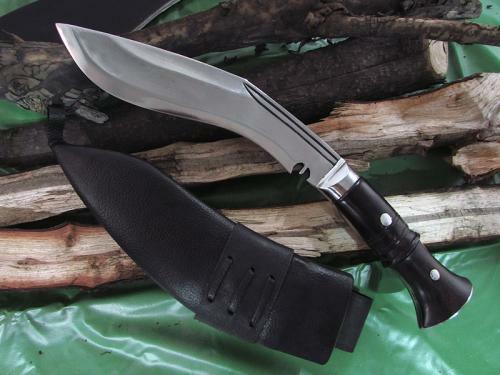 Mini Panawal khukuri is for those who prefer mini sized kukri to larger ones for hefty work. 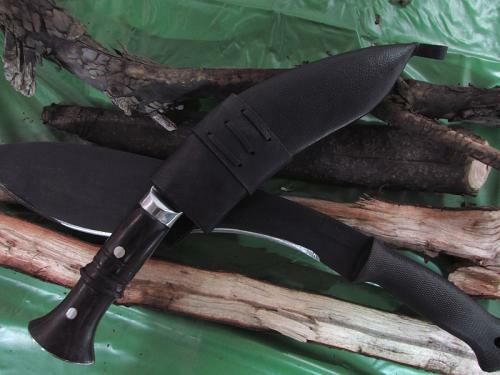 Mini Panawal kukri comes with the famous and well-built Panawal type handle and hence is named so. The handle is special and strong thus a very functional kukri knife that will tolerate the harshest opponents and treatment. The flat tang of the blade goes all the way through the handle and rivets are fitted to strengthen the fixtures. The metal tang can also be clearly seen at the two sides of the handle. Further, epoxy is used to secure both handle plates tightly; as a part of reinforcement procedure. Brown Indian Rosewood is used for the handle to give a matching and appealing look to the khukuri. A semi-circle fuller or groove is forged in Mini Panwal along the upper panel of the blade in the lower shoulder section. It is made to give more strength and durability to the width of the blade while in use. The curvature will give much needed support to the flat surface when striking hard against an object as it observes the tension of the blade. It is also a display of true craftsmanship since it is very hard to craft manually. 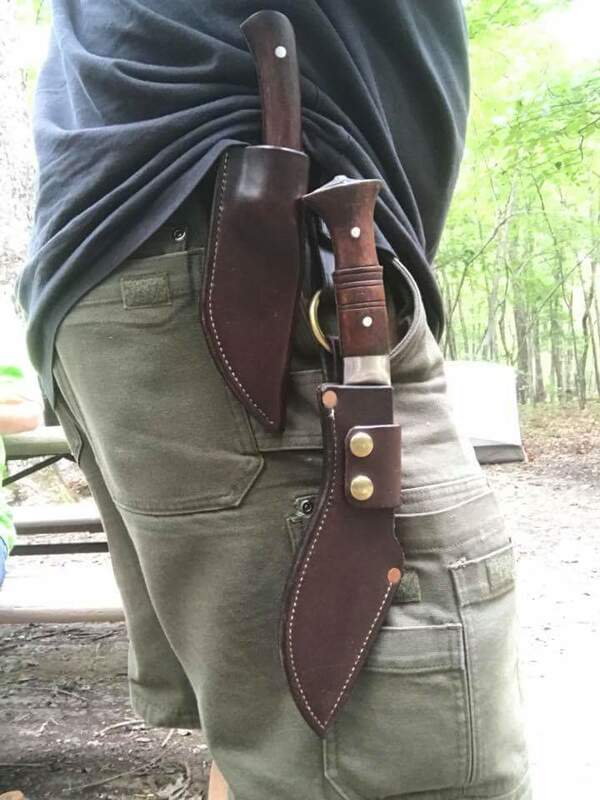 A lanyard hole provision is also kept in the tip of the scabbard just incase ones needs to tie the khukuri around his thigh. 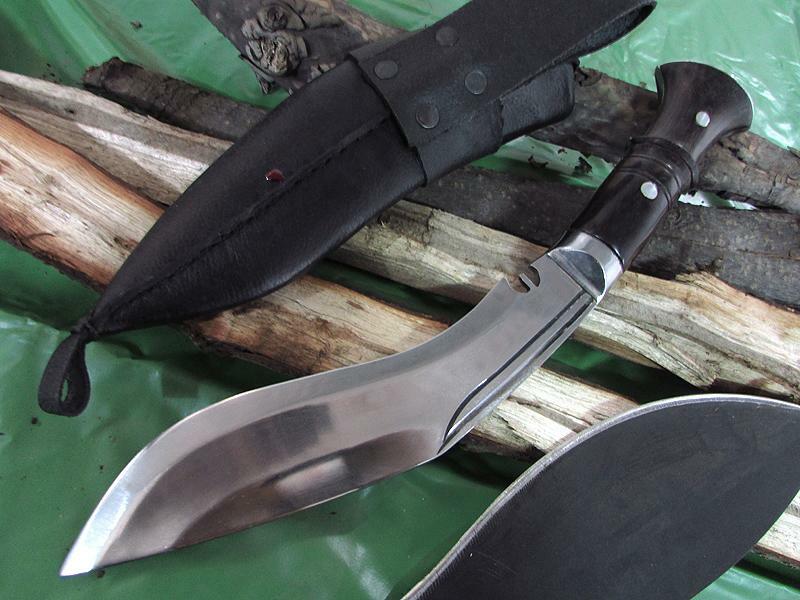 In Nepal’s context, it is farmers’ first choice kukri for his everyday domestic work. Size of blade: 8 inch approx. Just got back from a camping weekend. I brought my 8” khukri from Khhi Nepal. My buddy brought his 15”, also from Khhi. That thing went through wood like it wasn’t there! Mine was good for splitting the wood down for the fire. I just wanted to let you know how pleased I am with a purchase I made from you around a year ago. I bought a mini panawal with no actual plans for it. 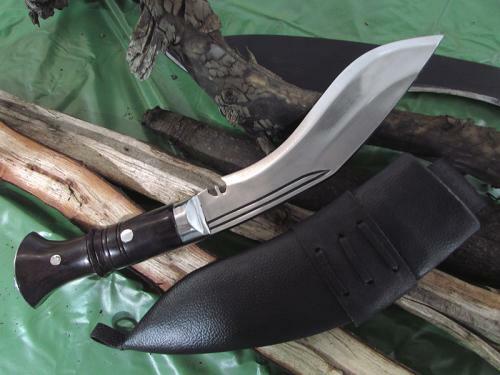 I knew your work was beautiful and that I'd wanted a khukuri since I was a kid, that was enough reason to buy one. 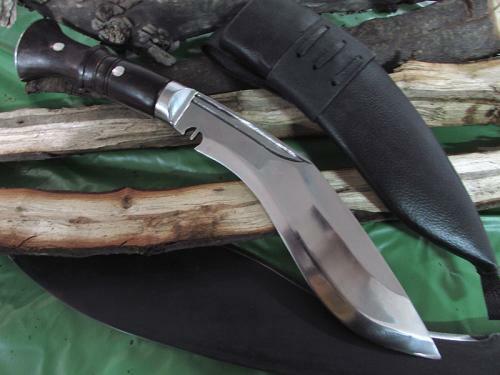 One day while I was rolling out a roast and having trouble my daughter jokingly told me I should try my khukuri. I did and discovered how amazingly it worked. It is now one of my most valued kitchen knives, nothing I've used cuts rolled roasts or butterflys chicken nearly as well. I just wanted to express my appreciation for a knife which works amazingly for a job I never expected to use it for.